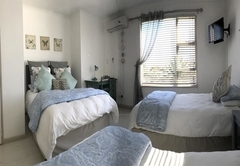 Bay Breeze Guesthouse is a guest house with self catering option, providing accommodation in Gordons Bay for tourists visiting the Cape Helderberg region. 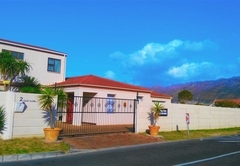 Centrally situated in Gordons Bay, Bay Breeze offers comfortable accommodation and a homely environment. 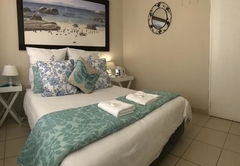 It is close to the beach and has friendly and helpful staff. 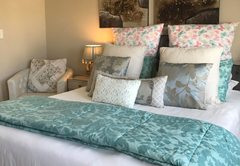 The guesthouse is suitable for families and perfect for a holiday getaway. In room facilities include Wi-Fi and a hairdryer. Secure parking is provided. 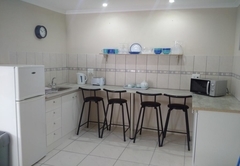 There are semi equipped kitchenettes with a fridge, freezer, microwave, toaster and kettle. 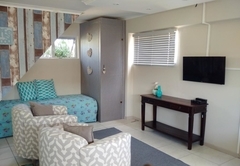 The room is small but cosy with a shared en-suite bathroom, a seating area, tile/marble floor and DStv. 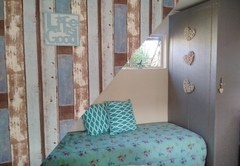 This double room features DStv, a kitchenette and seating area. 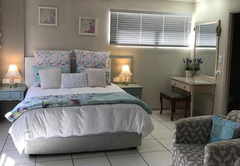 This room is a large open-plan suite with shower, a Queen-size bed, two single beds and a kitchenette. It would suit a family of four. 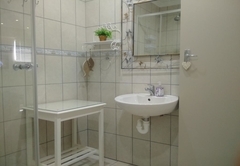 The Frosted Pearl room is suitable for a family of four and offers a separate shower, kitchenette and air conditioner. There is DStv, a desk and air-conditioning. 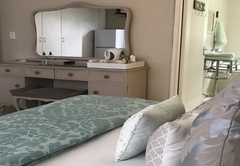 The Triple room with private bathroom has everything the guest needs from bathroom amenities, DStv, a seating area and a kitchen and a terrace. 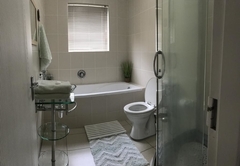 The room is small but cosy with a shared en-suite bathroom, bath and shower, a seating area, tile/marble floor and satellite TV. 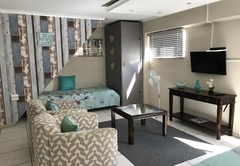 This double room features a colour television with DSTV (Cable) a kitchenette, electric kettle, tile/marble floor and seating area. 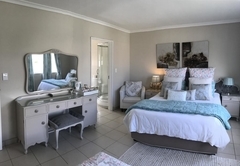 This room is a large open-plan suite with shower, queen bed plus two single beds and a kitchenette. It would suit a family of 4. The Frosted Pearl room is suitable for a family of four and offers a separate shower, kitchenette and air conditioner. There is a colour television with DSTV (cable), a desk and air-conditioning. 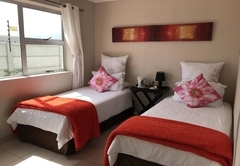 The Triple room with private bathroom has everything the guest needs from bathroom amenities, colour television and DSTV (cable), a seating area and a kitchen and a terrace. 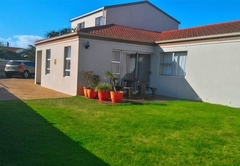 Response timeBay Breeze Guesthouse typically responds to requests in 5-10 minutes.